In France the country of the foie gras “par excellence”, a good number of small producers have stopped force-feeding their geese hence halting the commercialisation of their foie gras. They now reserve them for a more restrained or family orientated consumption. Therefore you will not find in France the commercialisation of an “ethical” organic, force-fed free foie gras. 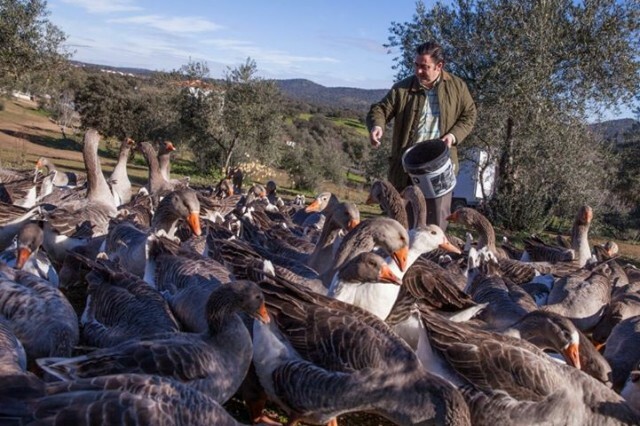 But in Spain our next-door neighbour, exists a farm, “La patería de Souza” managed by Mr Eduardo Sousa and is the only geese farm in the world to have the organic label. 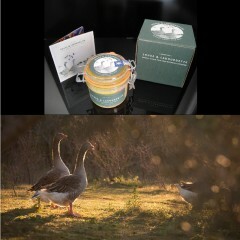 The geese are raised on an open range of 200 hectares, protected from predators. They dispose of a lake and take advantage of the property to feed on figs, olives, yellow lupin seeds, acorns, grass and organic corn imported from France. It’s paradise for geese, to the point that during migratory periods, some of the wild geese remain and others return in order to stay…! In 2006, the Patería de Souza won at the SIAL in Paris the “discovery of the years best foie gras.” It takes a year to produce a 500 gram foie gras, and the yearly production is only of 400 Kg. Furthermore it’s nature that decides on the calendar, since the geese feed themselves naturally in order to make for their fat winter reserves. This year a mild winter has had the effect that the geese prepared their fat reserves later than usual, in January, hence this year there were no foie gras produced for Christmas. 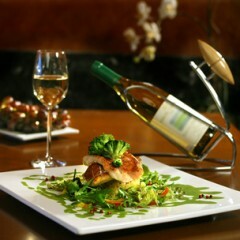 An organic, ethical, small production issued foie gras is by definition rare. This alchemy has a cost, the price pertaining to all that is rare. 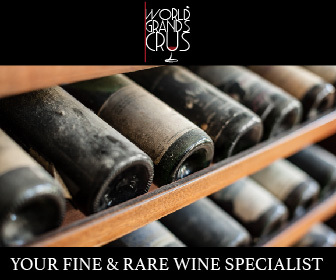 World Grands Crus, specialist in rare and fine wines and up scale delicatessen products, is the only online site to commercialize the Pateria de Sousa foie gras. Don’t linger in ordering yours, the demand being larger than the production it is difficult to content all the foie gras lovers who are only willing to eat it if it’s organic, ethical and force-fed free. 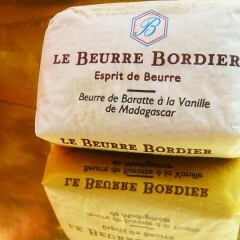 And of course, to be eaten without moderation!